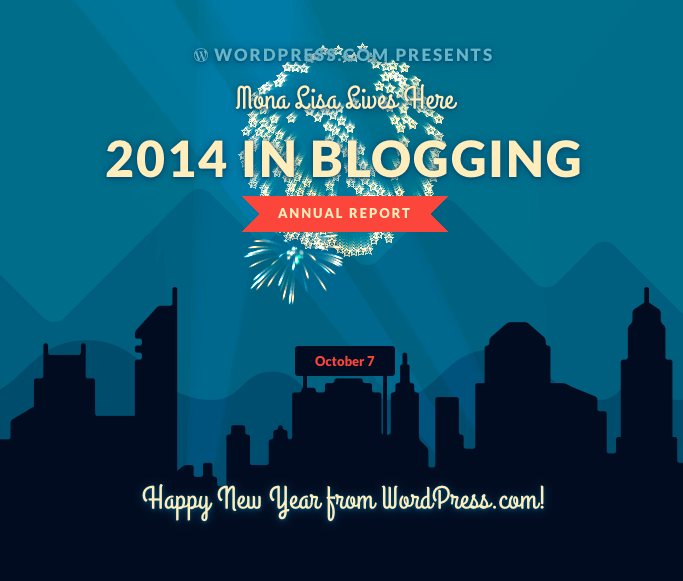 Thank you, WordPress, for my annual blog report. I never thought of myself as a concert at the Sydney Opera House before. What an interesting perspective. From my usual perspective as a middle school art educator, 27,000 views seems like a lot and I am pretty impressed. Having started the blog as a way to keep my students’ families informed as to what is going on in the art room, I am especially pleased that through the blog I am not only able to do that, I can also share with art educators literally around the world. 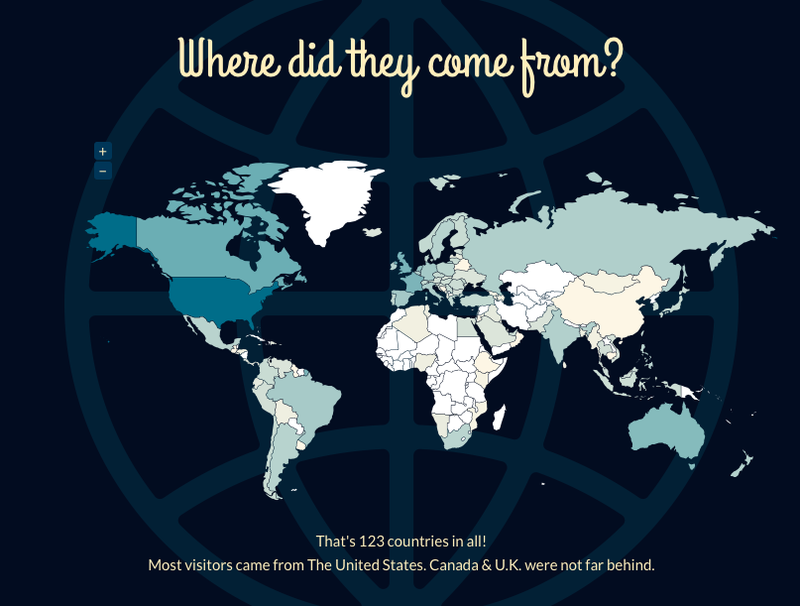 WordPress reports that this blog has had views from 123 countries. Holy moly! In case you are wondering, there are 196 countries in the world as we close 2014. 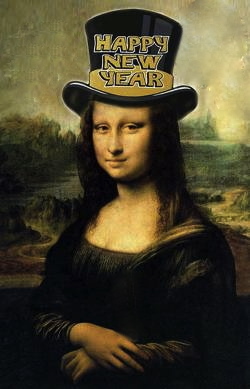 Looking ahead to 2015, I have set three goals for this blog. One of my goals is to share my ongoing work with 3D design and printing. 2014 was a year for learning the tools and finding ways to teach my students how to use them. Through this process, we have learned a lot about the actual printing as well. 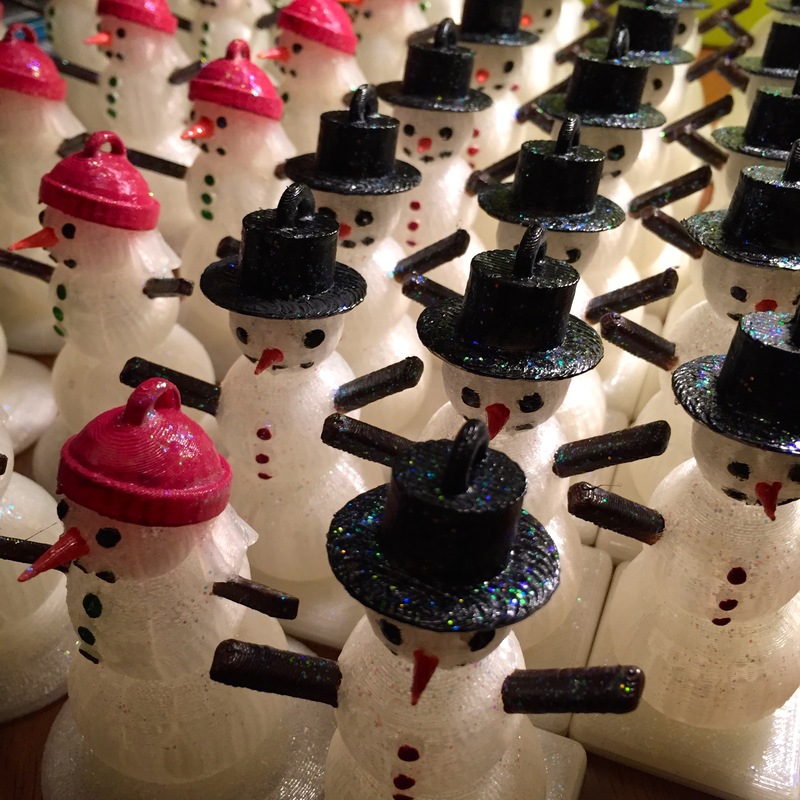 I’m so thankful for new Twitter affiliations who share 3D printing news and tips. The most helpful tip this year? To coat the build board with hairspray before building. Not even kidding, it has made a big difference for us. Who would have thought we would solve a hi-tech problem with a beauty aid? I am hopeful to begin work with a 3D digitizer/scanner this winter, and I will share the progress as it develops. 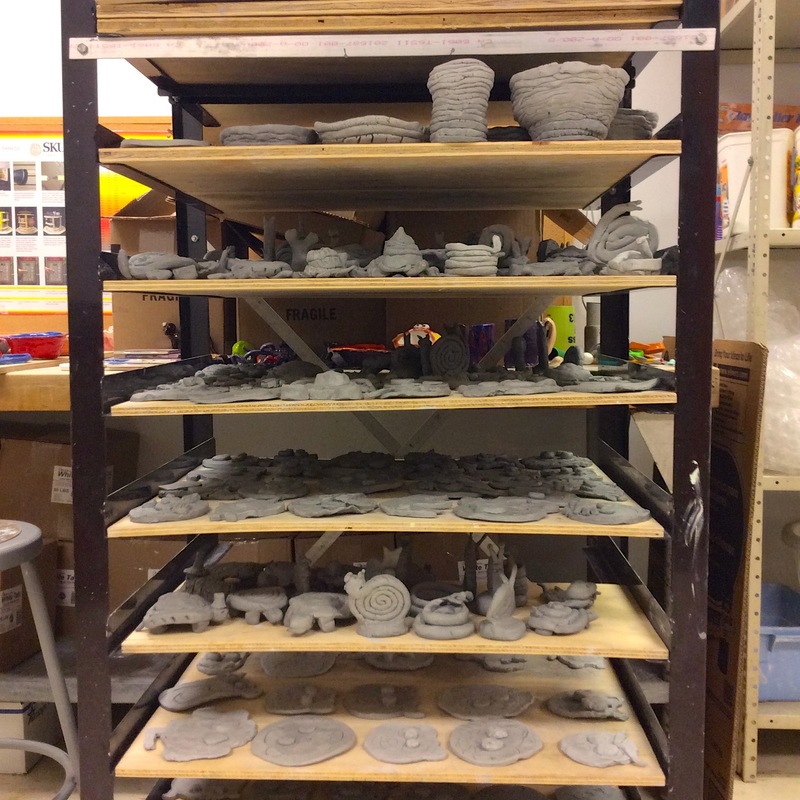 Ideally, we will be able to create 3D pieces in other mediums such as clay, and then scan them with the digitizer to prepare models to print with the 3D printer. This excites me as an art educator as it takes the design process away from technology and screens initially, allowing for innate artistic expression in creativity. 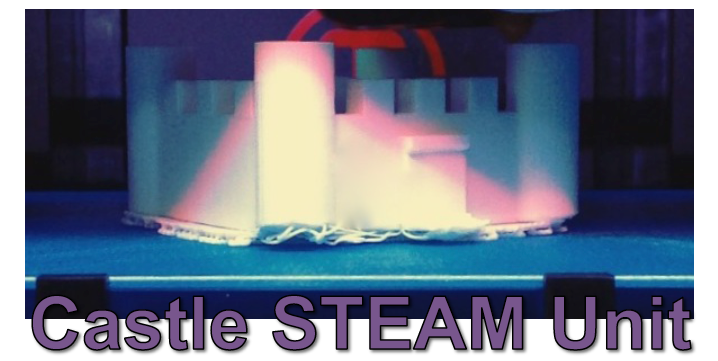 The second goal for the blog in 2015 is to share the implementation of STEAM units in the art classroom. I have been working toward this goal all fall, and I have a unit ready to go. Once the 1:1 iPad program is fully launched I can begin implementation. I’ll get a new batch of students at the end of January and will choose one of the groups with which to pilot the STEAM curriculum. Lastly, I have been selected to pilot the fifth grade NCCAS Model Cornerstone Assessment for Media Arts. I will be choosing one class to pilot this. We will begin this in late January, once the iPads have been disbursed to fifth grade students. This will be interesting for all of us, and I am looking forward to in-depth investigation of this recommended assessment. I will document the process and share it on this blog.